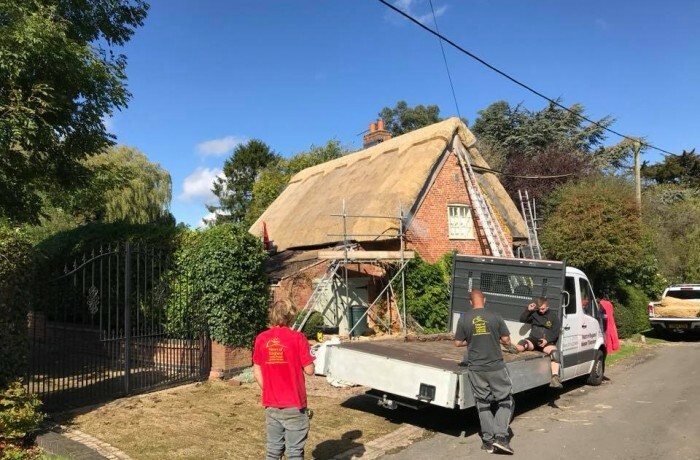 A busy, sunny Friday sees the completion of this re-thatch in Wibtoft, Leicestershire. 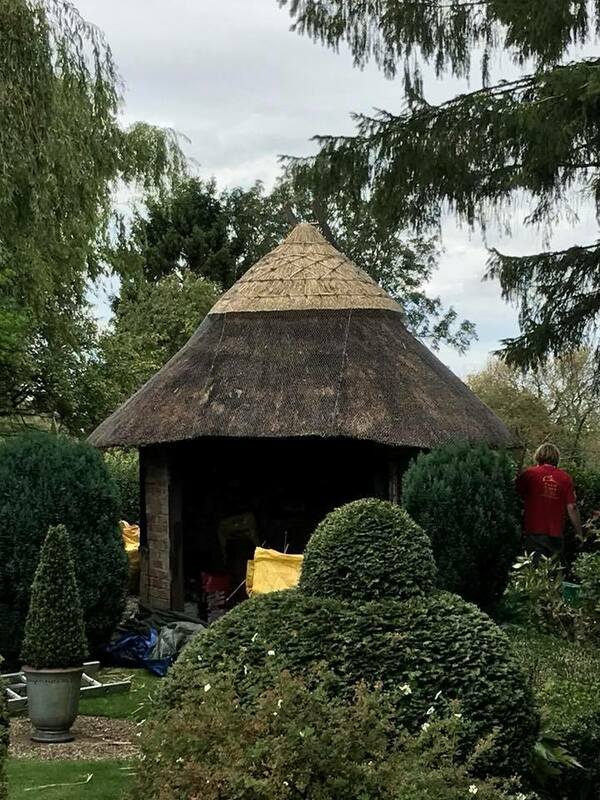 As well as completing a full wire netting and tidy up, we also managed to re-ridge and wire net their garden structure. It was a great team effort so, have a great weekend everyone! 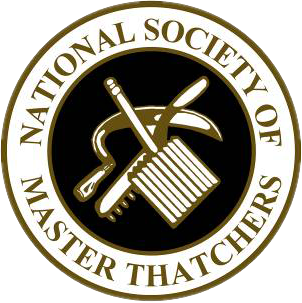 No matter how big or small the job is we can help here at Heart of England Master Thatchers. 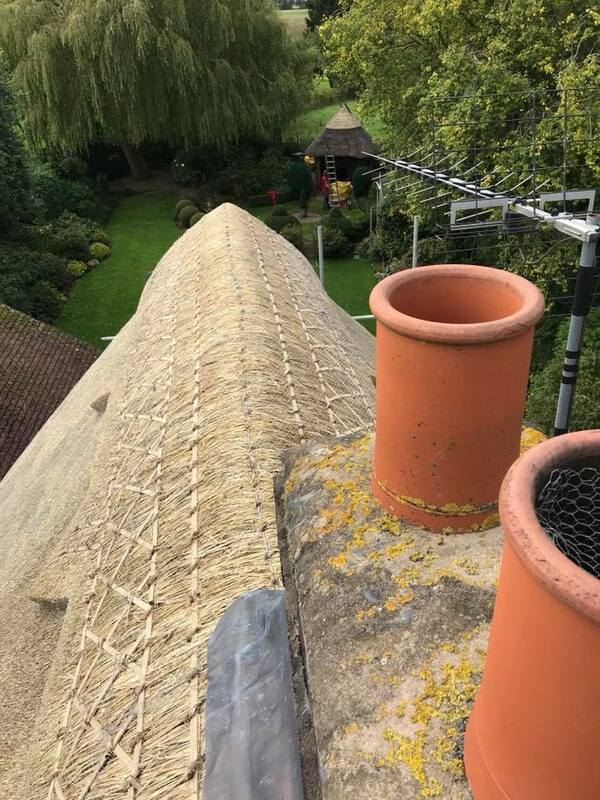 If you would like more information on any of our services or if you have a question regarding your roof, get in touch with our team today and we are happy to help.